Have you ever noticed that being watched at work changes behaviors? For example, if there is a new supervisor who is trying to evaluate the performance of their team – the team’s awareness of the evaluation actually changes how they behave. This phenomenon is known as the Hawthorne effect, where being aware of closer scrutiny causes improved performance – at least in the short-term. While estimates of productivity increases vary, an immediate increase of 10-15% can be expected. However, if there is no follow-up on the improvements (reinforcement of the new behavior, goal setting, etc. ), those output gains can be quickly lost. Similar circumstances can happen any time new metrics are introduced in a business. While people are not physically being watched, they know their performance (output, error rate, speed, etc.) is being measured. Identifying metrics and tracking progress against established benchmarks are critical components to creating success for a business. If we know that the initial “Hawthorne effect” gains can quickly disappear, how do we hang onto the momentum after the “newness” wears off? 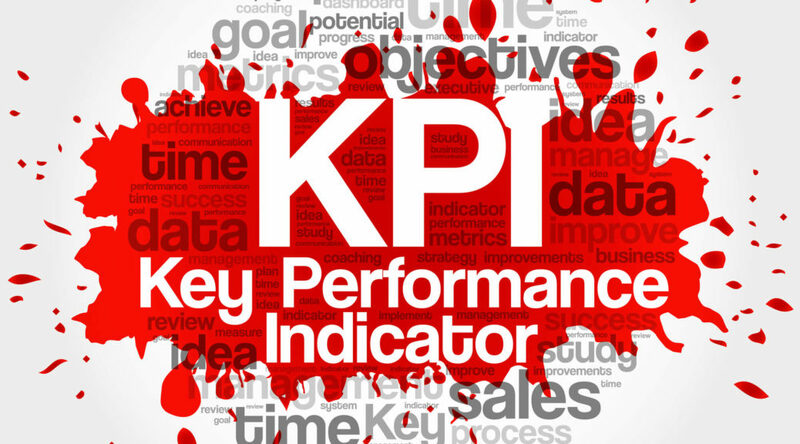 An important first step to improving any aspect of your business is measuring performance – identifying the Key Performance Indicators (KPI’s) or set of metrics that most accurately reflect how a department or area is functioning. When these have been established, employees must understand how their activities directly influence these metrics – this helps create ownership and accountability. And once the metrics are in place, it is imperative that goals are set and progress is consistently reviewed and adjusted. Using benchmarks is a very useful tool in establishing goals. These can be external benchmarks (for example, comparing your performance to established industry or competitor standards) or internal benchmarks (for example, comparing On Time Delivery performance of one plant or one product line to that of another of your own plants or product lines). Any time you implement a new metric, you can expect to have a Hawthorne Effect improvement at the beginning. One way to build on and sustain the productivity increases of a new initiative is to incorporate a simple but effective problem-solving process. Effective problem solving shifts our focus from the negative aspects of a challenge we are facing to generating a solution. It helps streamline processes and encourages employees to look for solutions – and many times very simple solutions can have a big impact. A recent client was measuring productivity at the department level, which was too high of a level to identify root cause issues. We developed productivity measures at a line and product level, which allowed us to quickly identify downtime issues and micro-interruptions. We assembled a cross-functional team and using different problem-solving techniques we were able to identify an equipment issue that was easy to fix and improved uptime by 11% in less than two weeks. Without the productivity metrics this deficiency would have remained hidden and been an ongoing cost to the business. A culture of continuous improvement is necessary to sustain and increase productivity, and problem solving is just one aspect of this. Continuous improvement (CI) – always being alert for opportunities to improve products, services, or processes – is simple but not easy. Using the self-propelling Plan-Do-Check-Act (PDCA) cycle is one tool to implement CI. 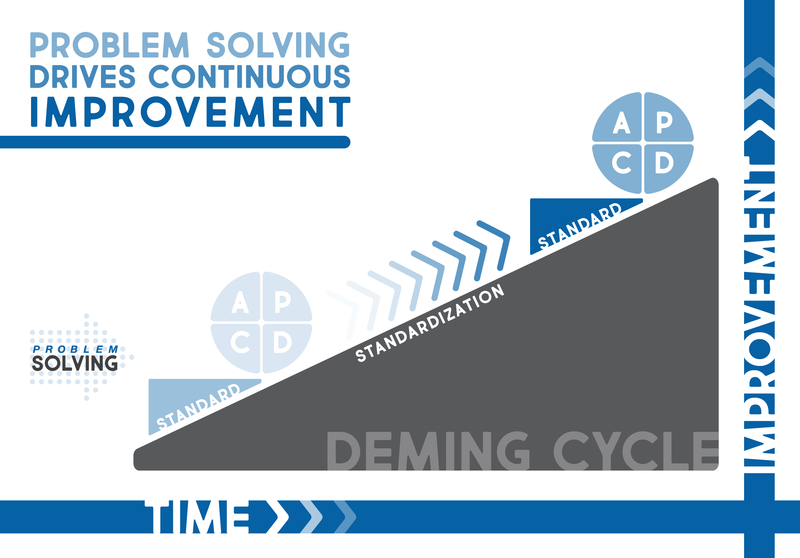 The following is a good illustration of what PDCA looks like in a Continuous Improvement environment. As improvements are identified and implemented, standardization is used to cement those improvements in place and prevent “rolling back down” to the prior way of operating. One of our recent clients has an older bottle line that ran with 4 operators. The capper on this line performed poorly, generating crooked and cross-threaded caps and the cap would often even fall off. Between 20% and 30% of the caps were improperly applied depending on the product. The primary responsibility for two of the four operators was to make sure all bottles were capped correctly and to rework the bad caps! Management had attributed the problem to the age of the equipment and felt the only solution was a to put in a new line – a major capital investment. This was a very fast moving line, but by using an iPhone and taking some slow-motion video, it was easy to see the tops of the bottles were moving out of position in relation to the cap due the tooling gripping them around the middle where the plastic was most flexible. As the client watched the video, we suggested a test by raising the tooling to grip the bottle at the shoulder right below the cap. This was done and immediately the cap problem went away. So permanent tooling was made and the line was able to run with only two operators (one replenishing materials and one casing product at the end of the line). Even better, we observed 0 defects for that condition during the remaining months of our project! This focus on problem solving allowed for a fairly simple fix (and significant financial savings) to an ongoing problem. We are frequently called in to help organizations that are under performing. While most would expect that all businesses today have metrics in place that they are using to drive to performance, we have found that a surprisingly large number of companies have no metrics in place – or the ones that they do have are based on erroneous data, not understood, or not actively managed using problem solving tools. And it is no surprise that these are the companies that are under performing. Businesses today must be nimble and adaptive, no matter what product or service they provide, because no organization stays static. They either thrive or decline. By establishing valid metrics to monitor performance and by implementing a culture of problem solving and continuous improvement, you can position your organization to be in the group that thrives. If you would like more information on how The ProAction Group can help your company use Metrics to improve performance, please contact us to discuss how we can be of assistance.